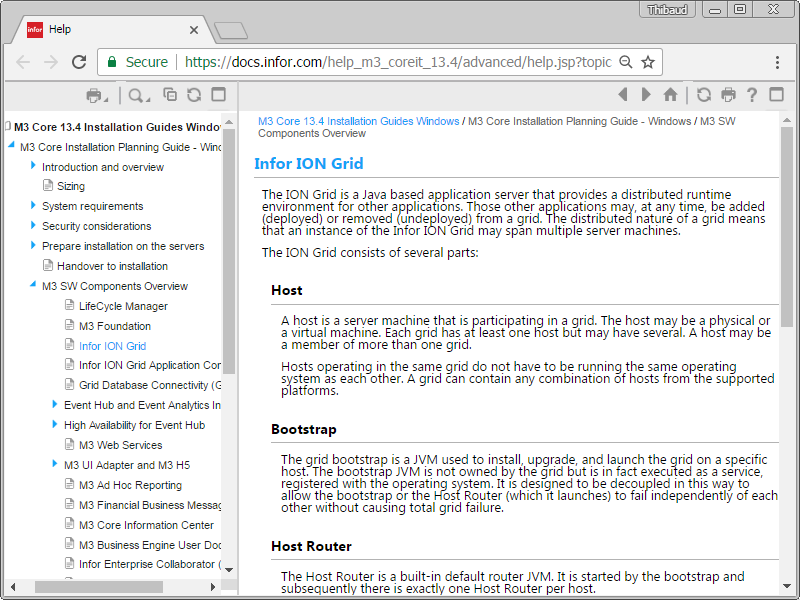 These days I am doing a lot of work with the Infor ION Grid – to learn, troubleshoot, and do penetration testing – and I need to setup my own laboratory. I will follow the footsteps of PotatoIT’s Lab. The Infor ION Grid is a proprietary application framework to run Java applications in a distributed, redundant, fail-over, load balanced, scalable, performant, and secure environment, sort of a crossing between IBM WebSphere Application Server (WAS) and Platform as a Service (PaaS), for the purposes of Infor products, and that over the years has become a rich framework that helps power the Infor CloudSuite. Grid concepts are explained in the Infor documentation and in my previous work. Basically, there are: hosts (physical/virtual machines), a registry (to keep track of the nodes), nodes (JVM), applications (e.g. M3), routers (to direct network traffic), and more. 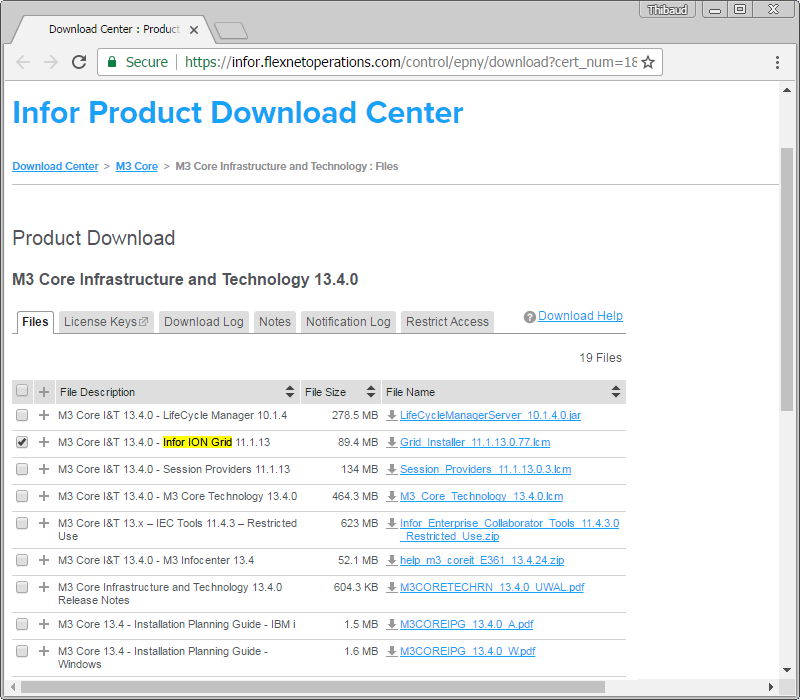 The documentation says Infor LifeCycle Manager (LCM) is a prerequisite to install the Grid. But in my previous encounter with LCM I had concluded I can reproduce installation steps manually without LCM, albeit with a lot of work. Anyway, for my purposes I just need a minimal Grid without Infor M3 which makes the installation easier. To that end, I set out to learn how to install a minimal Grid manually without LCM. I will split my learning into several blog posts. In my archives of 10 years ago I found an early internal development unreleased version of the Grid with some documentation. It was a pure Java application that started Grid hosts, nodes, routers, registry, and user interface. It did not have database, certificates, configuration, or web server. It was not available publicly. Thanks to its simplicity, I will use it as a starting point of my learning. 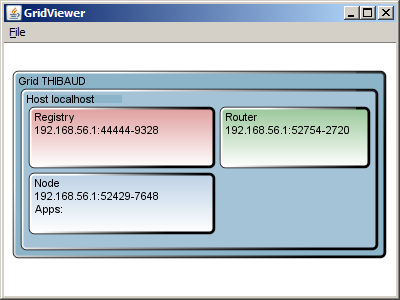 We have a minimal Grid with a host, a registry, a node, a router, and a user interface. 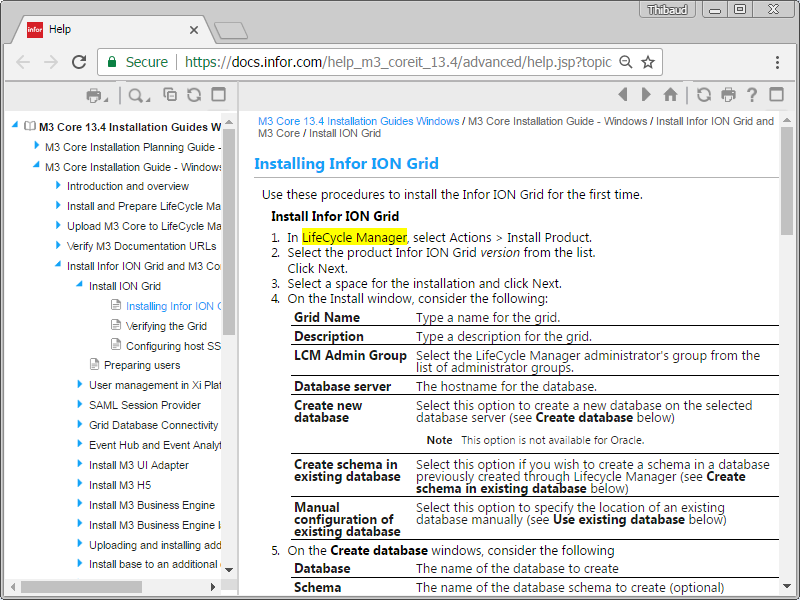 That was a starting point for me to learn how to install a minimal Infor ION Grid manually without LifeCycle Manager. I will continue in the next post.